So that friend and I wrote a cookbook, “The Single Guy’s Cookbook & Guide to Entertaining.” It was filled with loads of simple recipes and fun illustrations, plus date ideas (picnics, movie night, etc. ), a primer on manners (“Don’t start eating before your date,” “Don’t lick your fingers,” etc. ), practical information like how to fold a napkin, where to put the knife and fork, etc. Everyone thought it was a great idea — including several agents and a few publishers. Sadly, the book never made it past the manuscript stage. And life moved on. Fast forward to my friend, Paul’s nephew Julius. There are still bachelors out there, they still don’t know how to make a salad. And so short of my own unpublished gem, what would be my Top 5 Cookbook Recommendations for a Bachelor? My home cookbook library is full of esoteric and complicated cookbooks — The French Laundry, A Day at El Bulli, Escoffier, Mayan Cooking, Cooking of the Kasbah, etc. But there are also easy, practical tomes which I turn to again and again. I’ve written in the past about Vincent Price’s A Treasure of Great Recipes, which tops my list but which out of fear of repeating myself I won’t place in my Top 5. You can read about it here, along with info about a handful other cooking resources, if you’re interested. 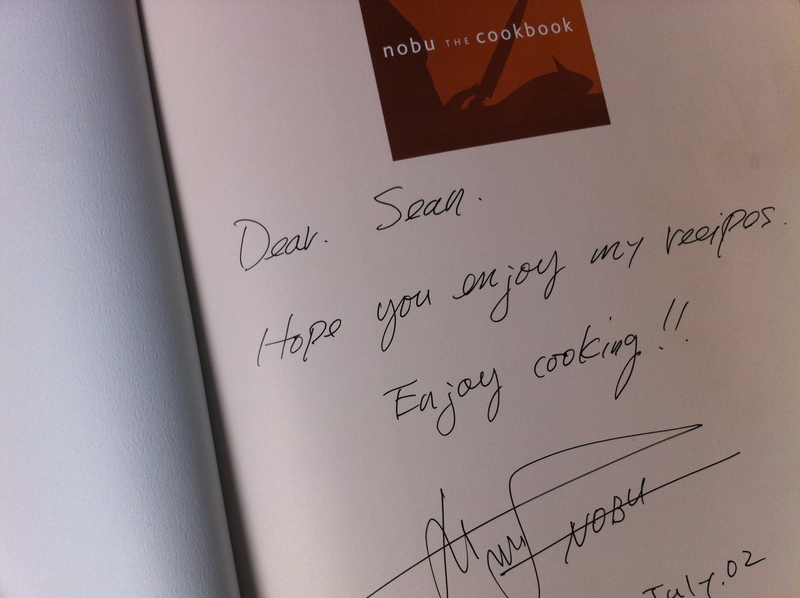 While Nobu Matsuhisa, chaperoned by Robert de Niro, has become an international star with dozens of restaurants from Moscow to Mexico City, his food remains as simple, delicious and inspired as it was at his original restaurant on La Cienega in Beverly Hills — where I once had the fortune of cooking with him for an afternoon. 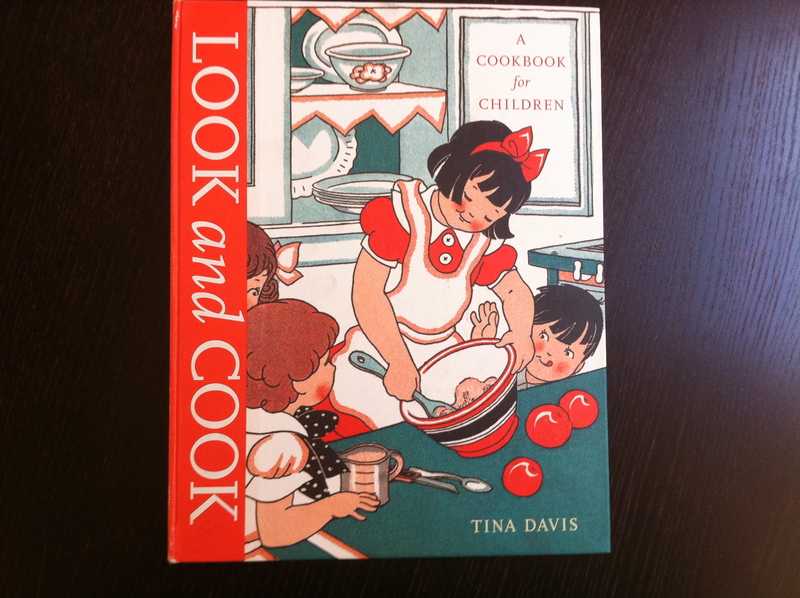 This book is a must for every kitchen library. 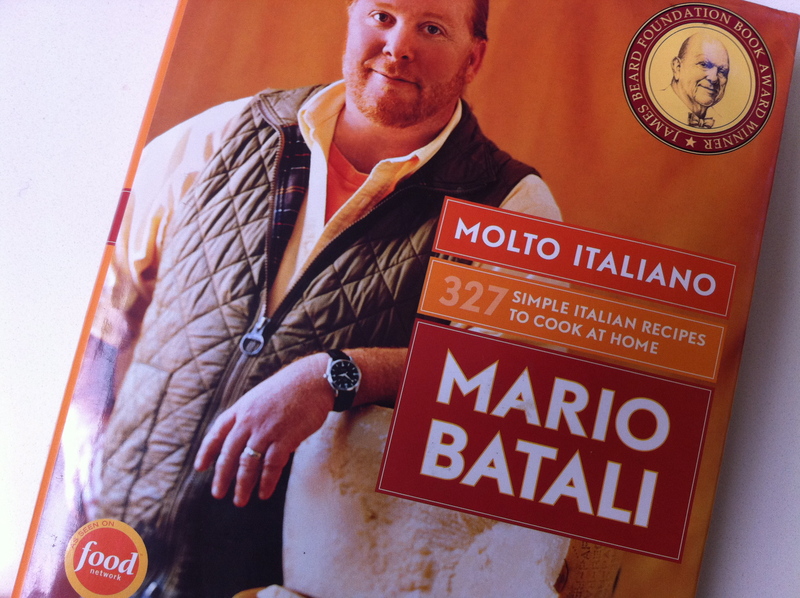 Mario Batali’s recipes are simple, authentic, rustic and delicious — and he possesses a certain bacchanalian bravado that can’t help but appeal to young men trying to find their way in the kitchen. I’ve written about this book before. But it’s important enough that I do so again. In terms of recommendations for a young bachelor, who is undoubtedly going to be grilling on a Happy Cooker on his balcony anyway, you may as well start with at the top. 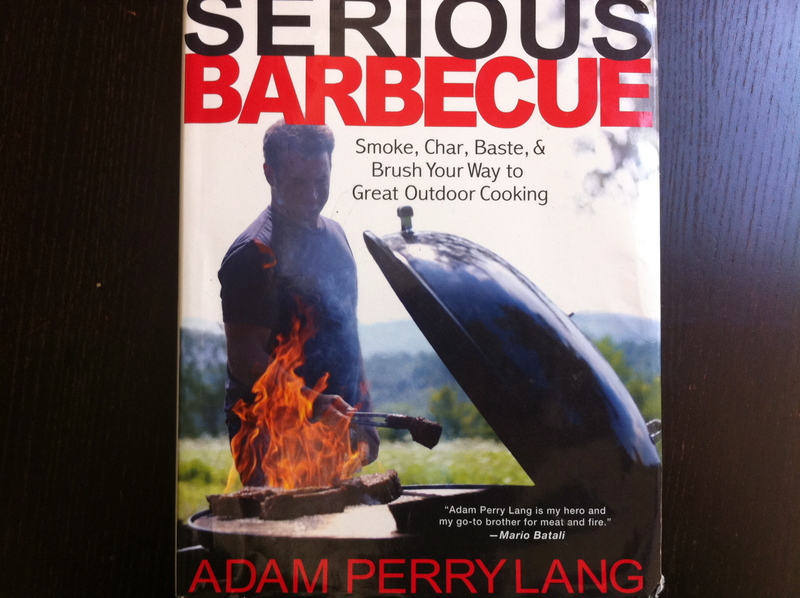 Adam Perry Lang may be the best barbecue man in the country. And if you take nothing more away from this book than learning to dress your cutting board before resting your meat, you will be 100 times the cook you were before. 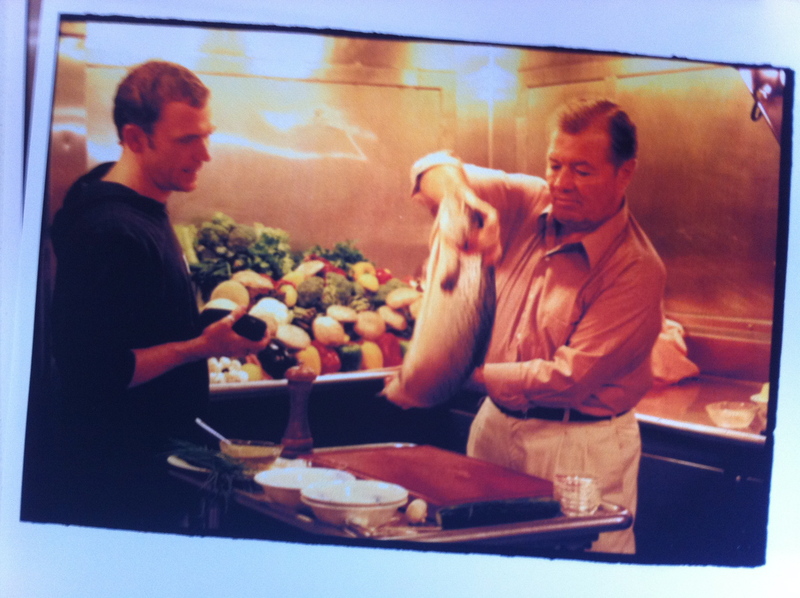 Jacques Pépin was another chef I had the fortune of spending a day cooking with. He taught me how to filet a wild salmon in Ketchikan, Alaska, and make an instant gravlax. I’ll include the recipe below so you can pretend you were there, too. 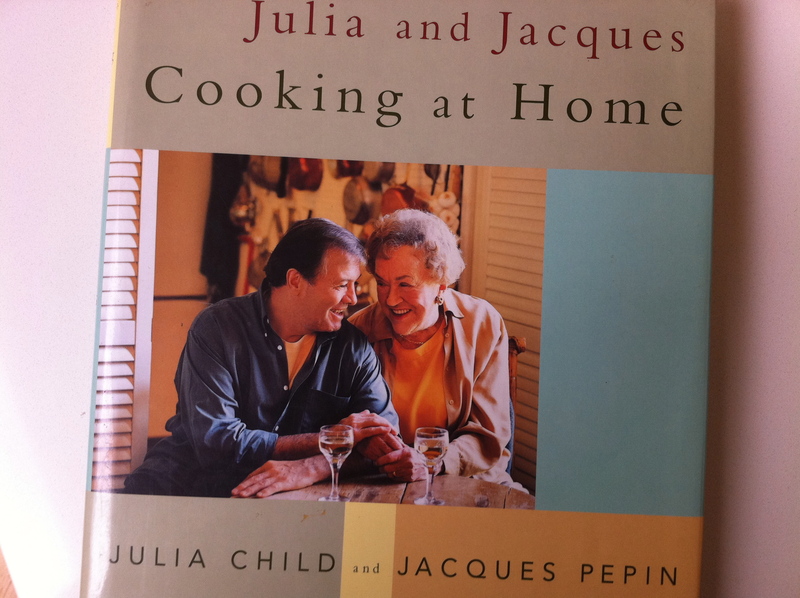 Julia Child was an American institution, and everyone should have a bit of her influence in their kitchen. This wonderful book is simple and fun and captures the personalities of both these great chefs. This book is the companion to the wonderful Rick Bayless cooking show on PBS, “Mexico One Plate at a Time.” If you get a chance to watch it, young Julius, you’ll find it entertaining and inspiring — like a virtual vacation to Mexico. The dishes are impressive and easy to make at home. Just out of curiosity, I entered this book at Amazon and got lots of results — beginning at $1.93. 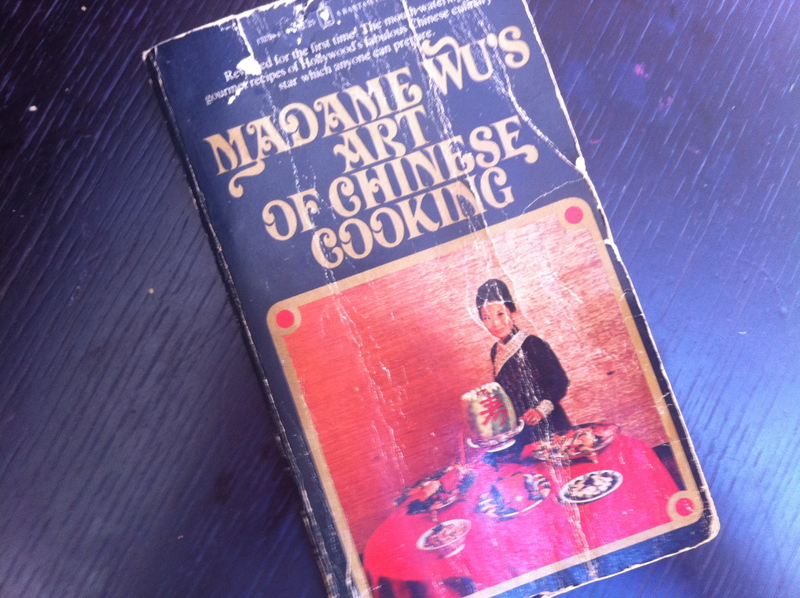 The original Madame Wu’s Garden was still there on Wilshire Blvd. when I moved to Santa Monica, although it’s doors had closed, it was fenced in and weeds were springing up all over the parking lot. As good a recipe book for simple, classic Chinese American food as there is. Sprinkle four plates with kosher salt and freshly ground pepper (about 1 tsp. each). Carefully slice the salmon filet thinly (about 1/4 inch or thinner) at a 45-degree angle, against the grain. Lay slices out on top of salted plates, arranging artfully, one piece per plate at a time, until all salmon has been sliced and distributed. Sprinkle an equal amount of salt and pepper over the top of the salmon, cover each plate with plastic wrap, and let sit in the refrigerator for an hour to 2 hours. When ready to serve, remove salmon from the fridge and remove plastic wrap. Distribute evenly over the top of each plate the capers, parsley, onion and dill. Drizzle first with juice from the lemon, then with olive oil. Serve. What’s with the cryptic comment? LOL You think that was timely… wait’ll you see the next one on watermelon!! Thank you so much! I just placed an order for all of these wonderful books!!! Although this is by no means my first venture at living alone, it is the first time that I have decided to really learn about and explore food. Cooking shows have long been a favorite of mine but I have never transfered my curiosity about food and cooking into my own kitchen. I’m so excited to get my hands on these books and of course I will continue to be a follower of Skinny Girls & Mayonnaise. Your mayonnaise, chili powder, and lime juice grilled corn is out of this world!!! Thanks again for taking the time to compile this list. I’ll keep you updated on my progress. p.s. I have a lot to learn to catch up with my uncle in the kitchen so I am going to need all the help I can get! Hey Julius! Welcome to SG&M — glad you enjoyed the corn! It’s the dish that launched this blog, after all!! Cooking is a great adventure, hope you enjoy it as much as your uncle and I do. Look forward to seeing you hear, and share your discoveries and let us know how it’s going… All the best! Our son Max received the New York Times Cookbook by Craig Claibourne for Christmas this year. He is wowing his friends in London with the things he’s cooking from it!! One good cookbook is all you need!